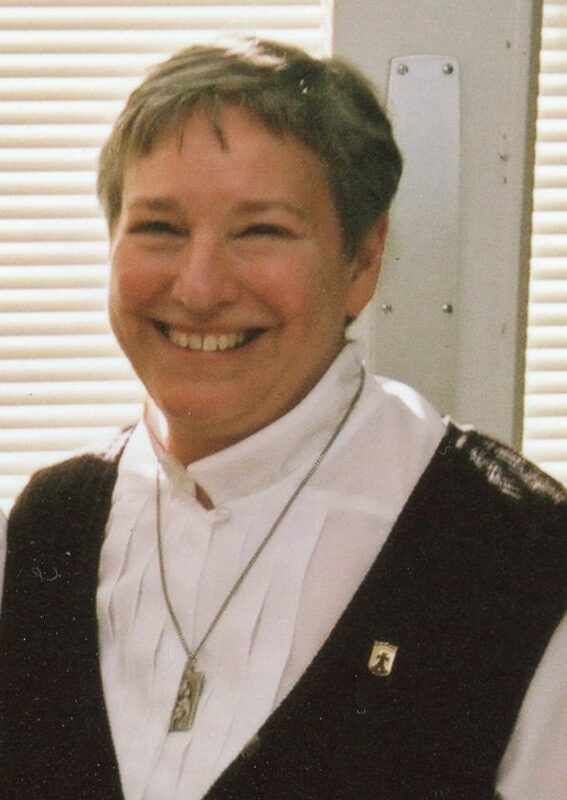 Sister Marie Gertrude Haughney, OCD, of the Monastery of the Incarnation in Beacon, peacefully passed away on April 6, 2019, at Northern Dutchess Hospital in Rhinebeck. Sister Marie Gertrude of the Sacred Heart of Jesus (Dorothea Haughney) was born in New York City on July 16, 1933, the daughter of Joseph and Gertrude (Mullinger) Haughney. After graduating from Blessed Sacrament High School in New York, Dorothea entered the Carmelite Monastery in the Bronx where six months later she received the name Sister Marie Gertrude of the Sacred Heart of Jesus. In November 1952, Sister Marie Gertrude traveled to the North Country with five other sisters to establish a Carmelite Monastery in Saranac Lake. It was there that Sister made her profession of vows on Feb. 17, 1953. For many years, Sister served as the much-loved prioress of the Saranac Lake community and in more recent years as assistant treasurer and sacristan for the Carmelite community at Beacon. Genuinely interested in people, her loving, warm and welcoming personality gifted her with a wide circle of devoted friends both in the North Country and in the Hudson Valley. She was a master in the art of correspondence, remembering birthdays and anniversaries and sending out a steady stream of letters, notes, and cards, praying fervently for each one’s needs and intentions. She is survived by her loving sister Catherine Berger; nieces and nephews Kevin (Fatiha) Berger, Karen Ferris, Brian (Roxanne) Berger, Thomas (Joann) Berger, Maureen (Jim) Diem, Trisha Zigrosser, Joseph Haughney, Dan (Cheri) Haughney; and grandnieces and grandnephews Alia, Brenden, Kayla, and James Berger, Megan, Connor, and Kaitlyn Diem, Ryan and Nick Zigrosser, Jordan, Spencer, and Becket Haughney. Sister Marie Gertrude was predeceased by her brothers James and George. Friends may call at the Monastery of the Incarnation at 89 Hiddenbrooke Drive in Beacon on Thursday, April 11, from 2 to 7 p.m. There will be a Wake Service at the Monastery at 5:30 Thursday evening. A Mass of Christian burial will be celebrated at St. John’s Church in Beacon on Friday, April 12 at 11 a.m. Burial will follow in Ascension Cemetery, Airmont. To send a personal condolence please visit www.riverviewbyhalvey.com. Funeral arrangements are under the care of Patrick J. Halvey of Riverview Funeral Home by Halvey, LLC.